Mass to be offered for the people of the Philippines and Syria in Armagh on Sunday. 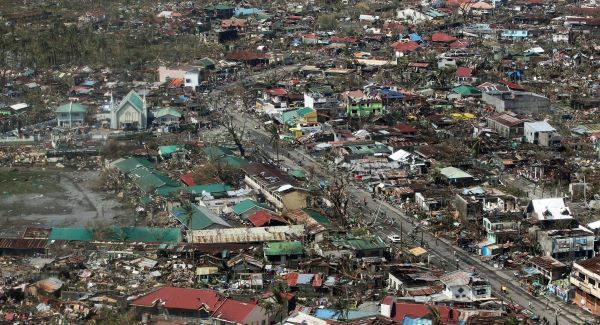 The Primate of All Ireland, Cardinal Seán Brady, has written to the President of the Catholic Bishop’s Conference of the Philippines to express the sympathy of the Catholic community in Ireland with the people of the Philippines. The Cardinal sent the letter to Archbishop Jose Palma of Manila ahead of a special collection at Masses across Ireland this weekend which will go towards humanitarian relief in both the Philippines and Syria. 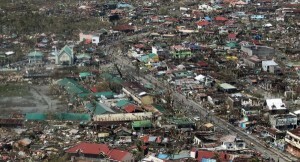 Typhoon Haiyan ripped through the central Philippines a week ago leaving 2,300 dead in its wake and displacing millions of others. The death toll in Syria’s conflict has reached 100,000 with little sign of a cessation in the violence. An estimated 4.25 million people are internally displaced in Syria, while more than 2.1 million have either registered as refugees or are waiting to register in the surrounding region. 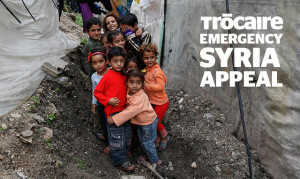 To date Trócaire has been able to provide aid to over a quarter of a million people in the region. The Catholic aid agency is supporting Caritas partners in Lebanon, Jordan, Turkey and Syria to deliver emergency aid to people who need it most. In his letter to Archbishop Palma, Cardinal Brady said the loss of “so many lives, together with the shocking destruction of homes and livelihoods” had touched the hearts of the people in Ireland. “We express our deepest sympathy to those who have lost loved ones and we offer prayers for those who have died and for those who have been injured,” he wrote. He said the forthcoming 51st International Eucharistic Congress in Cebu was an event that many Irish people looked forward to and prayed for its success. He called on God to grant courage and healing to those who have been injured or traumatised by “these awful events” and explained that prayers have been offered in Catholic schools and parishes throughout Ireland for the people of the Philippines. 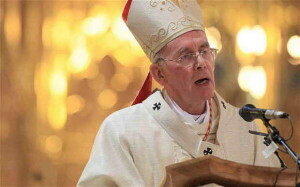 Cardinal Brady will offer Mass for the people of the Philippines in St Patrick’s Cathedral, Armagh at 11am on Sunday. The Mass will also be offered for suffering Christians in Syria and in the wider Middle East. After prayers at his weekly public audience in St Peter’s Square on Wednesday last, Pope Francis renewed his appeal for an end to the tragedy in Syria and he also mentioned the suffering Philippine people.